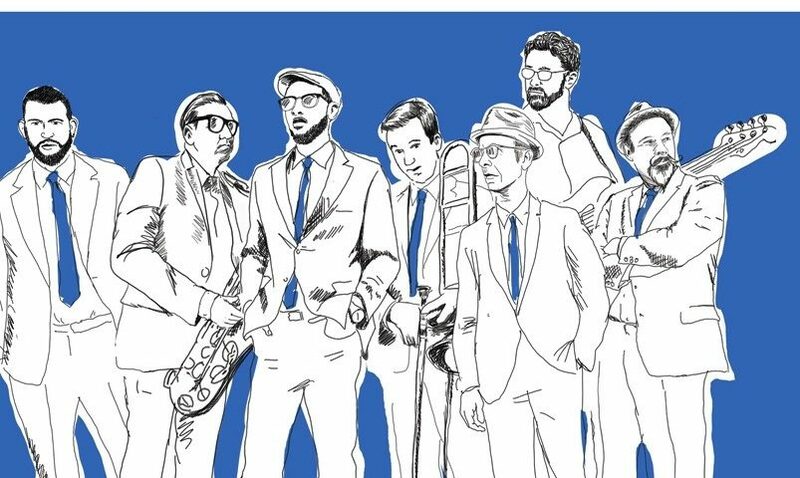 Put together top musicians from Washington, DC’s Jazz and Reggae scenes, give them the recipe for the original Jamaican Ska, throw a dose of Soul in the mix, shake well, and the result is Eastern Standard Time. of their genre to tour in Russia. Having performed with classic Jamaican artists such as Mr. Symarip, Charley Organaire and Derrick Morgan, EST has cut their teeth with the originators of the style, including releasing a live album backing Derrick Morgan that was recorded at the 2017 Supernova International Ska Festival. Their discography has brought them acclaim from as close as their own hometown–where they were dubbed “one of Washington’s best bands” by the Washington Post– to far flung areas of the globe such as Argentina, Russia, Indonesia and Venezuela; just a few of the places where Eastern Standard Time’s songs receive regular radio airplay. Eastern Standard Time hit the studio in early 2018, producing a new album featuring all the styles they are known for and are planning several international tours to support its release. to get your feet moving. Their unforgettable style and impeccable musicianship bring pleasure to the ears of all listeners; proving that they can bring the house down, time and “Eastern Standard Time” again!